Lightbox provides high quality printing on paper and canvas. 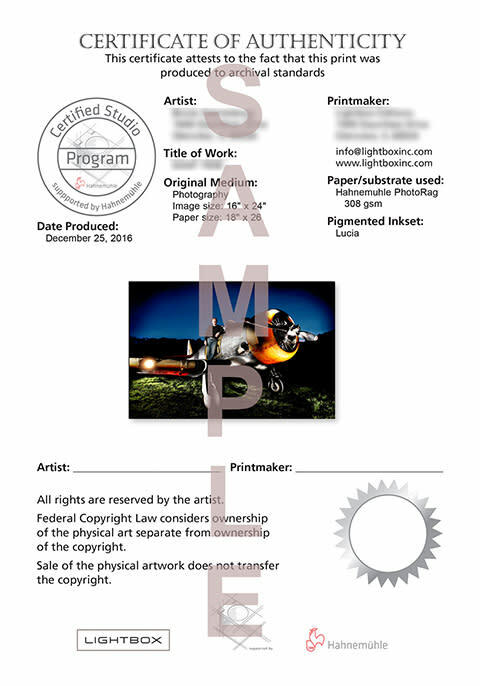 Since 1990 our specialty is making beautiful Prints for Artists and Photographers worldwide. As a Hahnemühle Certified Studio we use the finest Archival media in todays fine art printing market. FREE SHIPPING ON ALL ORDERS OVER 25.00 ! Lightbox offers prints on 60 inch wide material. (60in. x any length). Our materials are offered this wide in most substrates with few exceptions. Please refer to detailed specs when ordering as some of these materials are available maximum 44 inches. Lightbox uses custom made to order (made in USA) stretcher bars by Jack Richeson Company. To get exact price for stretching cost please upload test image and make your selections via the shopping cart. We use a special formula to price (unprinted) borders on your prints so as to reduce cost of adding large borders and priced lower than the printed page. To get exact price for bordered prints please upload test image and make selections via the shopping cart. This price will be significantly lower than using the QuickQuote calculator with final paper size. © Copyright 2018, Lightbox,Inc. All Rights Reserved.